The ancestry of the violin, considering this as the type of stringed instruments played with a bow, goes back to the earliest antiquity; and innumerable passages might be quoted from the Oriental and classical writers illustrating the important part taken by the forefathers of the modern violin in feast, festival, and religious ceremonial, in the fiery delights of battle, and the more dulcet enjoyments of peace. But it was not till the fifteenth century, in Italy, that the art of making instruments of the viol class began to reach toward that high perfection which it speedily attained. The long list of honoured names connected with the development of art in the fifteenth, sixteenth, and seventeenth centuries is a mighty roll-call, and among these the names of the great violin-makers, beginning with Gaspard de Salo, of Brescia, who first raised a rude craft to an art, are worthy of being included. From Brescia came the masters who established the Cremona school, a name not only immortal in the history of music, but full of vital significance; for it was not till the violin was perfected, and a distinct school of violin-playing founded, that the creation of the symphony, the highest form of music, became possible. 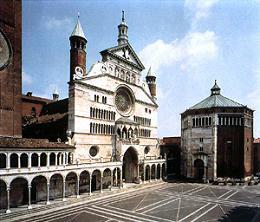 The violin-makers of Cremona came, as we have said, from Brescia, beginning with the Amatis. Though it does not lie within the province of this work to discuss in any special or technical sense the history of violin-making, something concerning the greatest of the Cremona masters will be found both interesting and valuable as preliminary to the sketches of the great players which make up the substance of the volume. The Amatis, who established the violin-making art at Cremona, successively improved, each member of the class stealing a march on his predecessor, until the peerless masters of the art, Antonius Stradiuarius and Joseph Guarnerius del Jesû, advanced far beyond the rivalry of their contemporaries and successors. The pupils of the Amatis, Stradiuarius, and Guarnerius settled in Milan, Florence, and other cities, which also became centres of violin-making, but never to an extent which lessened the pre-eminence of the great Cremona makers. There was one significant peculiarity of all the leading artists of this violin-making epoch: each one as a pupil never contented himself with making copies of his master's work, but strove incessantly to strike out something in his work which should be an outcome of his own genius, knowledge, and investigation. It was essentially a creative age. Let us glance briefly at the artistic activity of the times when the violin-making craft leaped so swiftly and surely to perfection. If we turn to the days of Gaspard di Salo, Morelli, Magini, and the Amatis, we find that when they were sending forth their fiddles, Raphael, Leonardo da Vinci, Titian, and Tintoretto were busily painting their great canvases. While Antonius Stradiuarius and Joseph Guarnerius were occupied with the noble instruments which have immortalized their names, Canaletto was painting his Venetian squares and canals, Giorgio was superintending the manufacture of his inimitable maiolica, and the Venetians were blowing glass of marvelous beauty and form. In the musical world, Corelli was writing his gigues and sarabandes, Geminiani composing his first instruction book for the violin, and Tartini dreaming out his "Devil's Trill"; and while Guadognini (a pupil of Antonius Stradiuarius), with the stars of lesser magnitude, were exercising their calling, Viotti, the originator of the school of modern violin-playing, was beginning to write his concertos, and Boccherini laying the foundation of chamber music. Such was the flourishing state of Italian art during the great Cremona period, which opened up a mine of artistic wealth for succeeding generations. It is a curious fact that not only the violin but violin music was the creature of the most luxurious period of art; for, in that golden age of the creative imagination, musicians contemporary with the great violin-makers were writing music destined to be better understood and appreciated when the violins then made should have reached their maturity. There can be no doubt that the conditions were all highly favourable to the manufacture of great instruments. There were many composers of genius and numerous orchestras scattered over Italy, Germany, and France, and there must have been a demand for bow instruments of a high order. In the sixteenth century, Palestrina and Zarlino were writing grand church music, in which violins bore an important part. In the seventeenth, lived Stradella, Lotti, Buononcini, Lulli, and Corelli. In the eighteenth, when violin-making Avas at its zenith, there were such names among the Italians as Scarlatti, Geminiani, Vivaldi, Locatelli, Boccherini, Tartini, Piccini, Viotti, and Nardini; while in France it was the epoch of Lecler and Gravinies, composers of violin music of the highest class. 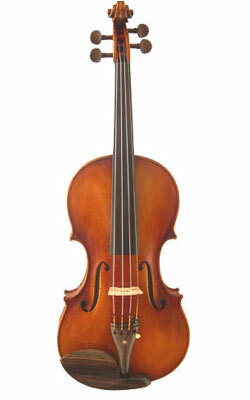 Under the stimulus of such a general art culture the makers of the violin must have enjoyed large patronage, and the more eminent artists have received highly remunerative prices for their labours, and, correlative to this practical success, a powerful stimulus toward perfecting the design and workmanship of their instruments. These plain artisans lived quiet and simple lives, but they bent their whole souls to the work, and belonged to the class of minds of which Carlyle speaks: "In a word, they willed one thing to which all other things were made subordinate and subservient, and therefore they accomplished it. The wedge will rend rocks, but its edge must be sharp and single; if it be double, the wedge is bruised in pieces and will rend nothing."